Tony Romo has been the starting quarterback for the Dallas Cowboys for the past 10 years. He’s enjoyed a spectacular career, breaking many Cowboys’ records in the process. 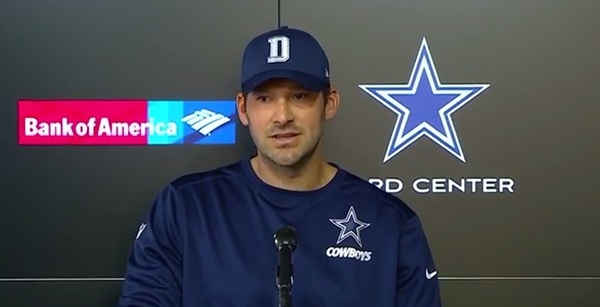 In August Romo was injured in a preseason game and the Cowboys had to begin the season with an unproven rookie, Dak Prescott, who was drafted by Dallas in the fourth round. After losing his first game 20-19, Prescott has lead the Cowboys to 9 straight victories. His stellar play has not only quieted the talk around Dallas about Romo returning to the starting position, but forced the Owner, Jerry Jones and the Coach, Jason Garrett, to announce that Dak Prescott was now the starting Quarterback and Romo, who was healthy and cleared to play, would be the backup. Too often in churches problems surface because ego gets in the way of the Lord’s work. I’ve known of pastors and preachers whose personal pride causes conflicts among themselves and with the congregation. The sin of being “self willed” has been the downfall of many a spiritual leader. Sometimes trouble arises because someone is not recognized, or given a prominent place, or selected to fill an important position. I’ve seen people become jealous when they are not asked to serve in a leadership role. Anger and envy leads to bitterness. And soon the Body of Christ is divided. Older preachers can become resentful of younger preachers who now take their place on lectureships and hold more meetings. It is sad to see. But sometimes it is so. What Tony Romo displayed last week was a spirit of grace, dignity and mutual respect worthy of the emulation of Christ’s disciples. Finally, his closing comments will give you something to seriously consider. So true. Sports, life and our spiritual relationship is all about what’s inside of us. That’s the heart of the matter.